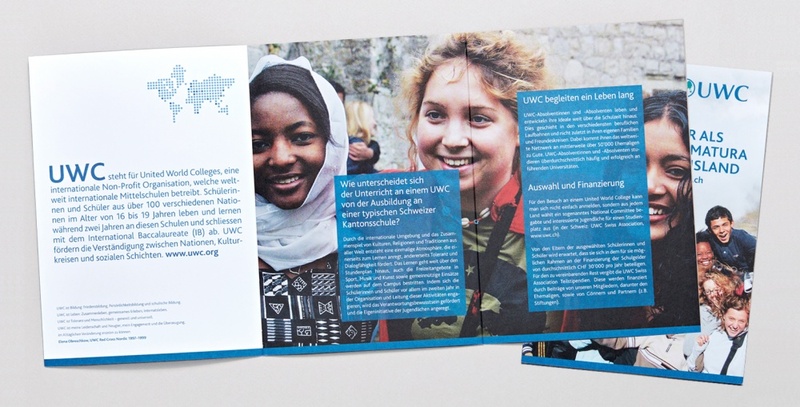 United World Colleges (UWC) is an organization of 17 schools worldwide, which has been dedicated to promoting international understanding through education since 1962. 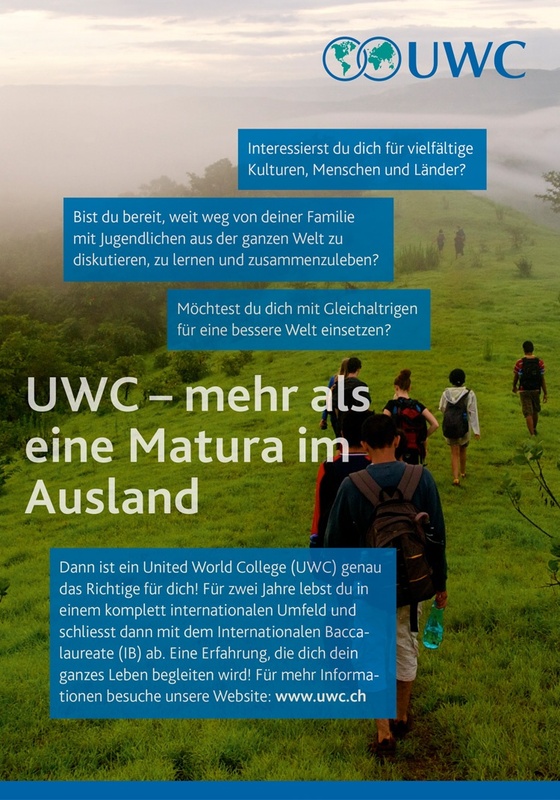 The UWC Swiss Association selects candidates for UWC schools, raises money for scholarships and organizes activities for applicants, students, and alumni in Switzerland. 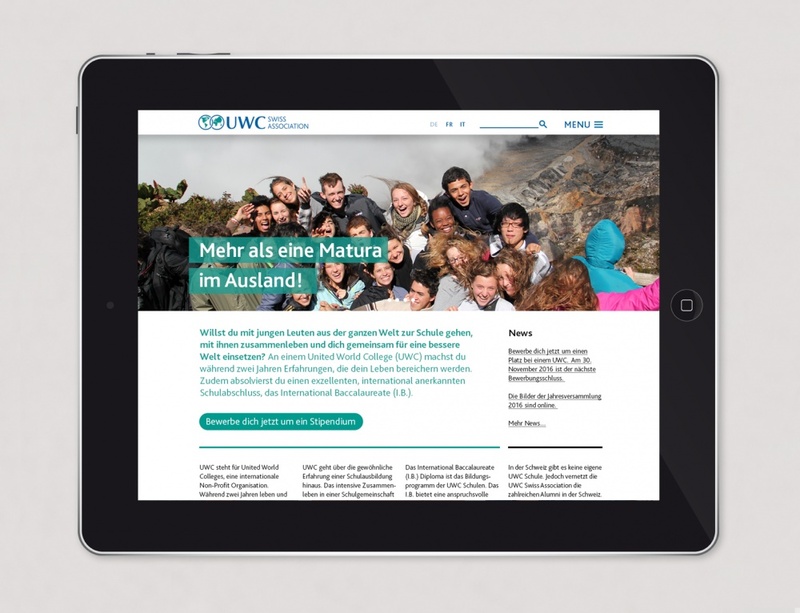 From concept and user experience design to screen layout, Appear developed a responsive website for the UWC Swiss Association. Appear has also designed posters, brochures, and flyers for the organization. 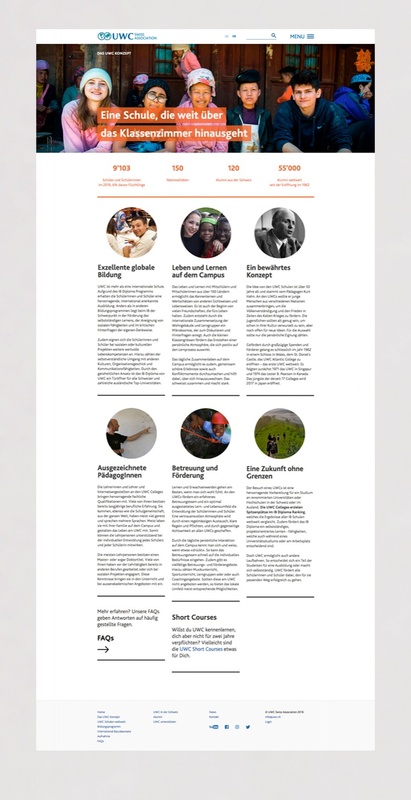 Concept and design for website; design for posters, brochures, and flyers.